Is there an aspiring filmmaker in the house? A student who lives their life in song? An artist whose notebook doodles look like they belong in a museum? Or a teenager who can't watch enough "Criminal Minds?" What is the Pre-College Experience? 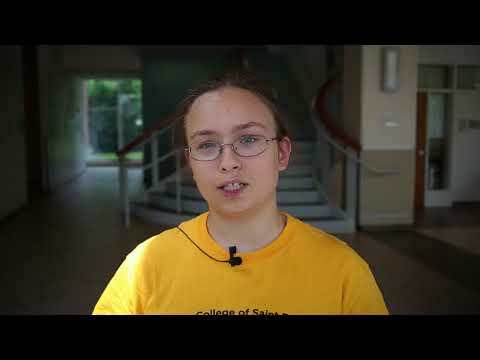 Students who want to immerse themselves in what they love have the opportunity this summer at The College of Saint Rose, where they can learn from our expert faculty in the Pre-College Experience. 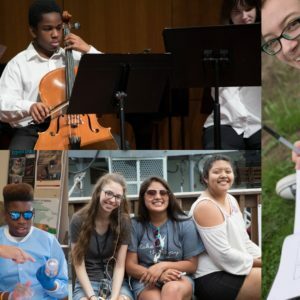 The two-week program is designed for students entering 9th through 12th grade (8th through 12th grade for Music), and offers classes in Music, Visual Arts, Digital Filmmaking, and Criminal Justice. Our Pre-College Experience students not only acquire tools and a higher level of learning than what they experience in high school; they also see how much they can achieve in just two weeks. 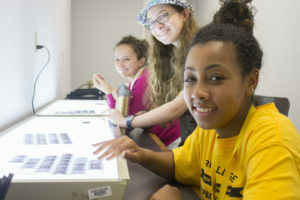 Students can attend the program just during the day, but a residential option is available for students ages 13 to 18, who want to stay on campus and experience a real college environment. The Pre-College Experience has an overnight option for students who are 13 to 18 years old and meet the requirements for their program. Overnight students will stay in one of our residence halls, in the heart of our campus, overlooking the Campus Green, Events and Athletics Center, and library. Most meals will be provided in the College’s dining room. All residence hall rooms are doubles. Supply fees vary by program. Limited scholarship funds are available in the amount of $100 to $500. Students must be registered to be considered for a scholarship. Contact the program director for more information. This program is inspected by the Albany County Department of Health twice annually and a copy of that report is available at 175 Green Street, Albany, NY 12202. In the Pre-College Experience at Saint Rose, young scholars and artists not only acquire tools and a higher level of learning than what they experience in high school; they also see how much they can achieve in just two weeks.